Share the post "Simple Breakfast Recipes"
You’ve undoubtedly heard countless times that breakfast is the most important meal of the day. But how often do you just grab a muffin or piece of fruit and run out of the door? Even when you’re in a rush, it’s possible to prepare a breakfast that fulfils all your nutritional needs. 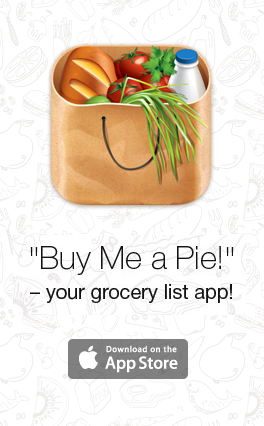 Check out this list of recipes and add the ingredients for your favorites to your grocery list. While you’re waiting for your bread to toast, fry an egg or two and mash up some avocado. Use them to create a toasted sandwich, adding some salt and pepper to bring out the flavor. Oatmeal is tasty both hot and cold. For a balanced breakfast, add a handful of dried fruit, such as apricots or raisins, to your bowl. Apples, figs, and other fruits complement muesli and are a great way to add vitamins to your bowl. Purchase ready-made muesli or add oats, pistachios, poppy seeds, and sesame seeds to your shopping list to create your own at home. Muesli will stay fresh in your pantry for many breakfasts to come. Save time in the morning by preparing a parfait the night before. 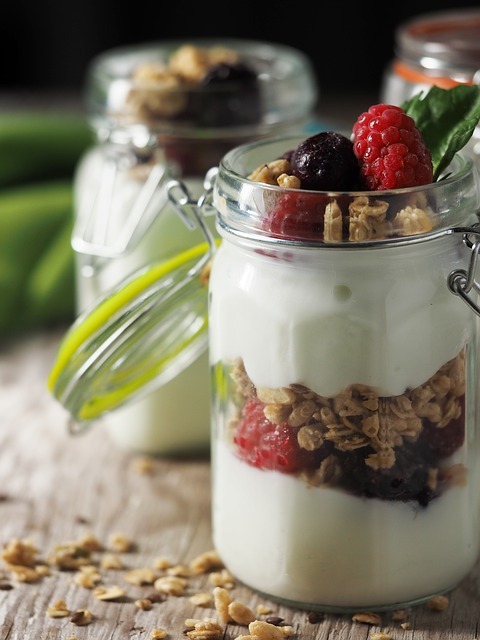 Combine low-fat yogurt with layers of seasonal fruit, granola, cereal, and nuts. You can also add some flavor with honey, peanut butter, almond butter, or sunflower seed butter. Slice a baguette down the middle and cut it into pieces. On each, spread some apple butter and top with apple slices and a meltable cheese, like cheddar. Grill until the cheese and bread are slightly crispy for a unique and nutritious breakfast. Breakfast burritos are less complicated to prepare than you may expect. All you’ll need are two scrambled eggs, a quarter cup of black beans, two tablespoons of grated cheese, and two tablespoons of salsa. Wrap all the ingredients together in a wholewheat tortilla. Not only is this an ideal breakfast on the go, burritos also store well in the freezer if you want to prepare several at a time. This unlikely choice for a breakfast is actually delicious when mixed with blueberries. 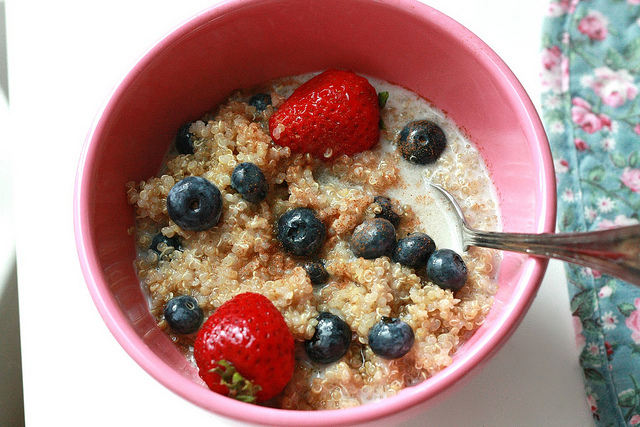 Cook the quinoa beforehand and heat it up in the morning for a breakfast rich in protein. If a heavy breakfast is too much for you to handle, make a smoothie instead. Blend a cup of frozen fruit with a cup of Greek yogurt and half a cup of milk or water. You can use different fruits for a new flavor every day. Use the above ideas to turn breakfast into the most enjoyable meal of the day and provide yourself with an incentive to wake up. Add plenty of the above ingredients to your grocery list to experiment with breakfast recipes and find out what helps you feel energized for the day.